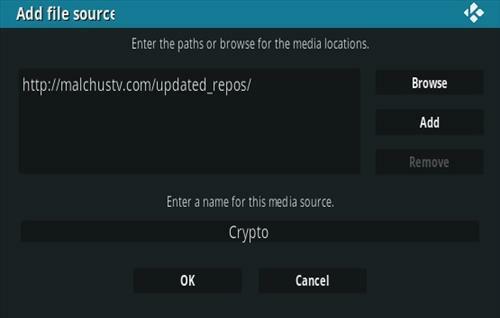 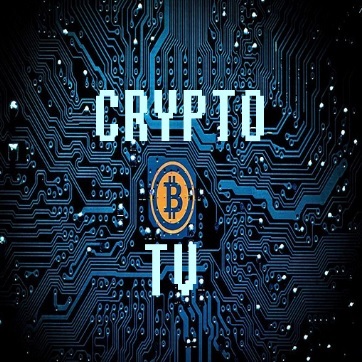 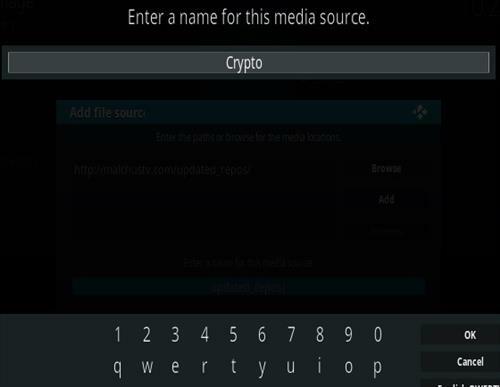 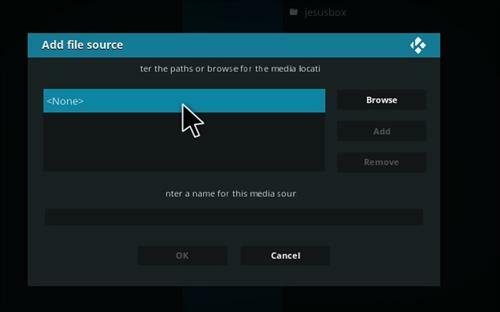 Crypto TV is a Live TV Kodi Addon. 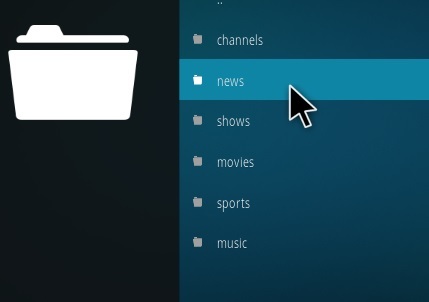 It has sections for channels, news, shows, movies, sports, and music. 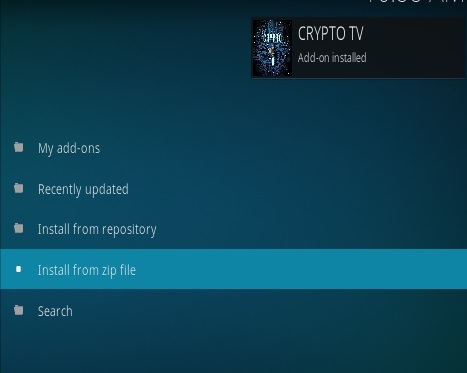 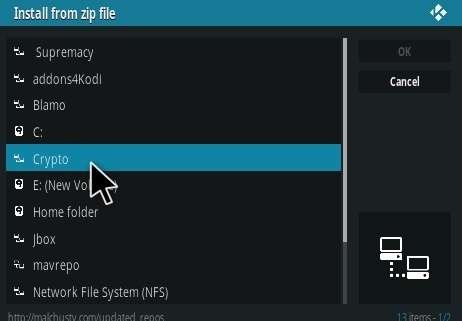 After it installs it will be located from the main menu in Video–>Addons.